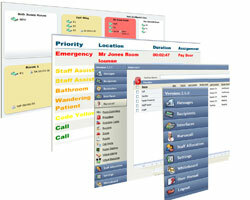 CarePlus™ Version 2 is a major upgrade to NiQ’s successful message-based nurse call platform. 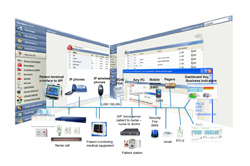 CarePlus™ V2 dramatically extends the wide range of interoperability interfaces for hospital back of house systems and intelligent medical device integrations, significantly improved performance and cloud-computing interfaces, and an enhanced work-flow engine, providing impressive value and productivity for management and staff working in acute care, aged care, or long term care facilities. CarePlus™ 2.0 – Extending the Reach – the ultimate all in one! CarePlus™ V2 has enhancements to existing features, as well as many new features and expanded integrations available for activation by the application of a software key. 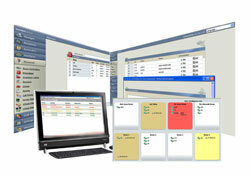 End customers desiring access to these new features should contact their authorized CarePlus™ distributor. CarePlus™ V2 is available now from our global network of authorized distributors. This system can be installed in a phased approach in specific care areas or wards and then scaled up to other care areas in the facility as time and budget allows. The modular design enables the system to be installed around operational requirements and operational restrictions in specific care areas of the facility, one care area at a time. Additionally, features enabling various efficiency and safety initiatives can be customized (enabled or disabled) for each individual care area to maximize operational and budgetary flexibility. If you are interested in finding out more about CarePlus™ Version 2 then please contact us.